Home › Staff Directory › Klein, June, Ed.D. June Klein attended University of California, Santa Barbara, where she obtained her bachelor's degree in Business Economics in 1980, and was selected as the Outstanding Graduating Senior in Economics. 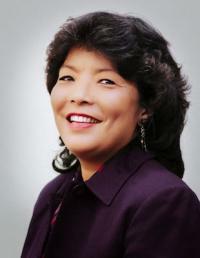 June became a Certified Public Accountant in California in 1983. She was awarded an MBA focusing on Management of Technology from the Walter A. Haas School of Business at U.C. Berkeley in 1988. In 2010, June received her Doctorate in Education at Fielding Graduate University through their Educational Leadership and Change program, focusing on intercultural competence and global leadership in higher education. Her professional memberships include the American Institute of Certified Public Accountants, and affiliations with many community groups. June is active in community service, lending her expertise in finance and business planning to her positions on the boards of the Palo Alto Family YMCA and the Kiwanis Club of Palo Alto, where she heads up fundraising/major gifts in both organizations and is very involved in their international/diversity programs. June received the Andrew Carpendale Award for outstanding international achievement and the Distinguished Service Award for service and leadership in 2008 from the Palo Alto Family YMCA.